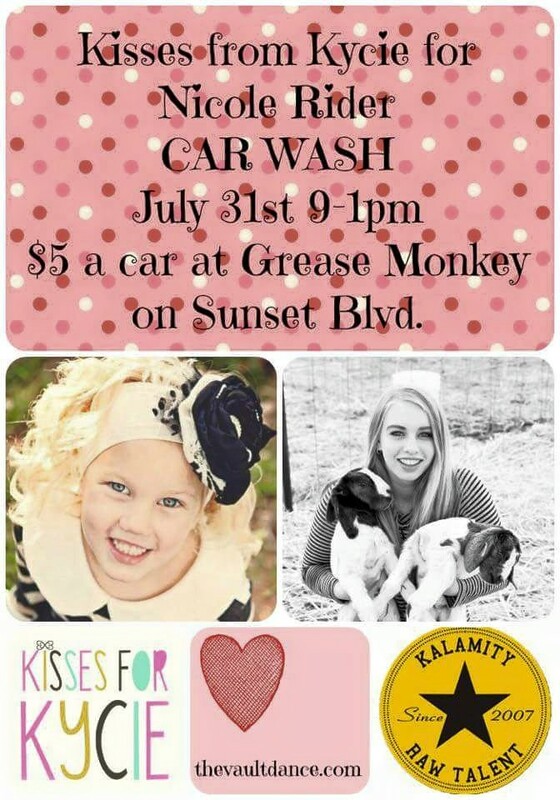 KISSES FROM KYCIE ... FOR NICOLE.....We are doing a car wash fundraiser for Nicole Rider, a sophomore girl from Snow Canyon that got into a jet ski accident at Lake Powell leaving her with serious injuries. We want to help her and her family in this hard time and so we are doing this fundraiser!!!! We hope you all come out and support this sweet girl!!!! Why??? KISSES FOR KYCIE ... FOR NICOLE!